Pianist Ben Markley, along with special guest trumpeter Terell Stafford, celebrates one of the more influential and beloved figures in jazz through this unique project, showcasing many of the late pianist and composer Cedar Walton's most revered tunes through new arrangements for big band. Performing iconic compositions such as Hindsight," Bolivia," and Holy Land," Markley brings together fellow faculty members from the University of Wyoming and top-flight Denver-area musicians to produce an honest and swinging recording that honors Cedar Walton while presenting his music in a bright new light. 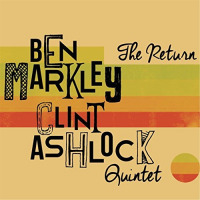 Ben Markley, a jazz pianist, has performed with Brian Lynch, Greg Osby, Eddie Henderson, Terell Stafford, George Garzone, and John Fedchock. 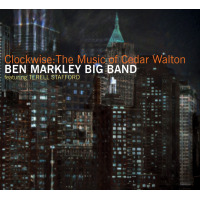 Markley's latest recording project is Clockwise: The Music of Cedar Walton (OA2 records). 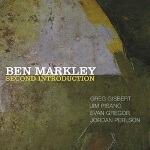 Markley is active as a composer and arranger with many big band and vocal jazz charts published through UNC Jazz Press. Recent arranging commissions include the Jazz Orchestra of Philadelphia and Wyoming Jazz Educators All-State Jazz Band. 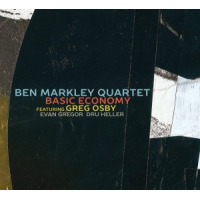 Compositions from Markleyʼs first two albums have earned him ASCAP Young Jazz Composers Awards. Markley was selected to participate in the Betty Carter Jazz Ahead program held at the Kennedy Center. Markley's book A Practical Approach to Improvisation—The David Hazeltine Method was published by Jamey Aebersold Jazz in December of 2014. It documents David Hazeltine's process of creating etudes from transcriptions. Markley is an active performer in the Denver-metropolitan area and along the front range. He can be seen regularly at in Ft. Collins as part of the Subterranean jazz trio at Ace Gillett's Lounge. Markley currently serves as Director of Jazz Studies at the University of Wyoming where he directs and coaches the Wyoming Jazz Ensemble, Western Blue (vocal jazz), and combos. He also teaches applied jazz piano, improvisation and is the director of the UW Jazz Festival.